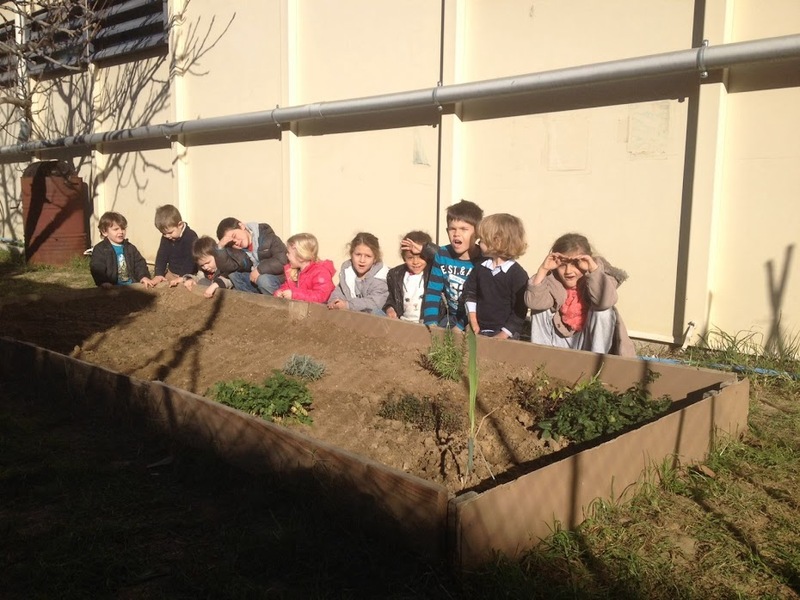 EL NOSTRE HORT: PLANTEM ESCAROLES I COLS DE BRUSSEL.LES! PLANTEM ESCAROLES I COLS DE BRUSSEL.LES! AVUI HEM FET ALGUNS CARTELLS PER PENJAR A L'HORT! AQUEST ERA EL CARTELL DE LES CARROTES QUE VAM SEMBRAR. TOT CAVANT LA TERRA, HEM TROBAT UNA ARREL MOLT LLARGA!!! HEM TRET LES MALES HERBES DE L'HORT. TAMBÉ HEM TREBALLAT LA TERRA I L'HEM APLANAT AMB ELS RASCLETS PER PODER PLANTAR! MENTRESTANT REGÀVEM LES CARROTES I LES BLEDES. LLAVORS, EL MATHEO I EL LEO HAN COMENÇAT A PLANTAR LES ESCAROLES I LES COLS DE BRUSSEL·LES. FINALMENT, HEM REGAT TOT EL QUE HAVÍEM PLANTAT! UN DIA PLE DE SORPRESES A L'HORT!